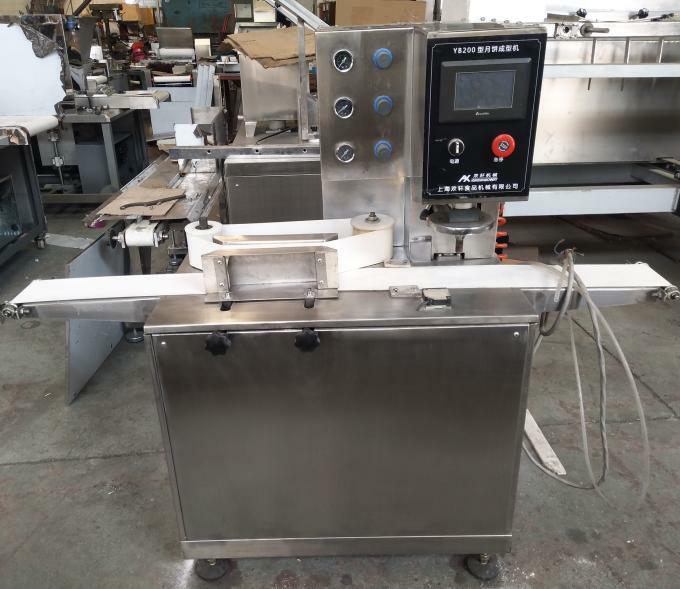 This computerized and full-automatic filling machine is light and multifunctional. It can produce different types such as ball shape, bar shape,triangle shape etc,the weight, thickness and production speed is adjustable within the scope of the provisions. It also can produce moon cake, soft wife cake, stuffed cookies, crystal cake, sticky rice ball , meat ball and so on. 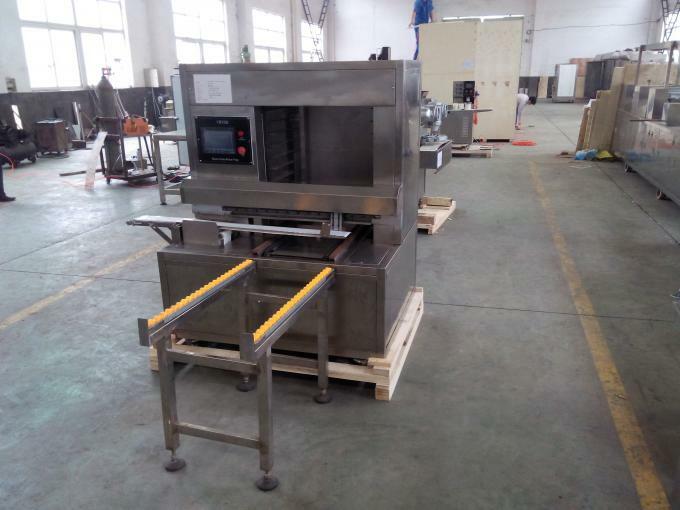 This machine adopts human machine interface operation, it has a memory of hundreds of products, so it is easy to handle with according to the displayed pictures, this machine is durable, easy to operate, with greatly guarantee the long time and normal operation. 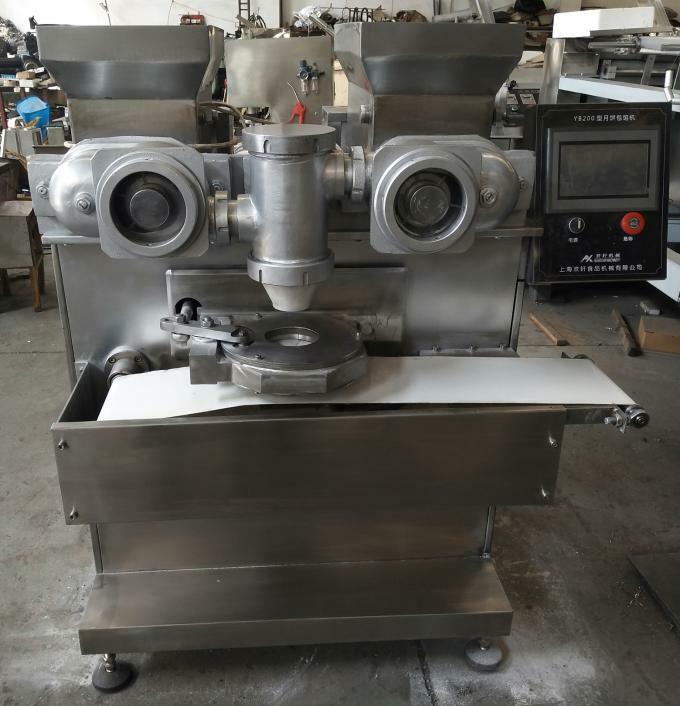 Moon cake automatic shaping machine is used for shaping moon cake. 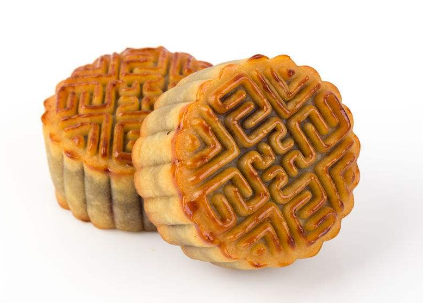 The green body of moon cake can be pressed ups and downs through the moulds, and then it can turn out to be different shapes of moon cake, the operation is accurate, reliable and adjustable. Moreover, it has unique adjustable unit for green body hand-up and it is the best choice of producing moon cake. The automatic tray arranging machine is the following machine after the products shaped. The machine is mainly used in assembly line work of arranging single product. It is applied to arrangement of moon cake, pumpkin cake so on . It is high automatic, light-electric detection and PLC control. 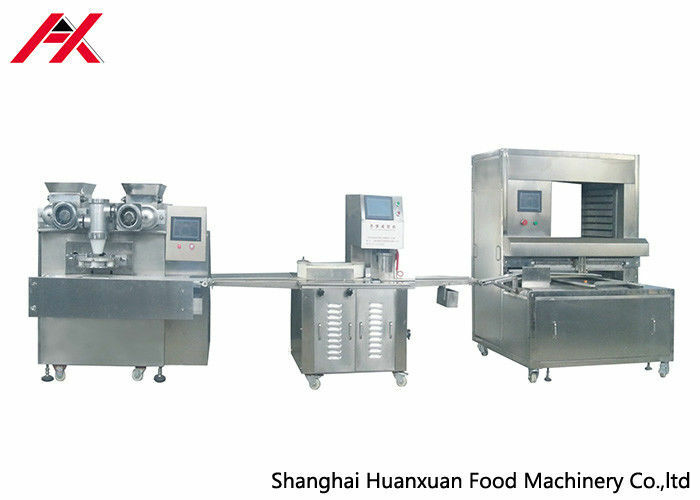 Shanghai Huanxuan Food Machinery Co., Ltd, established in 2013. 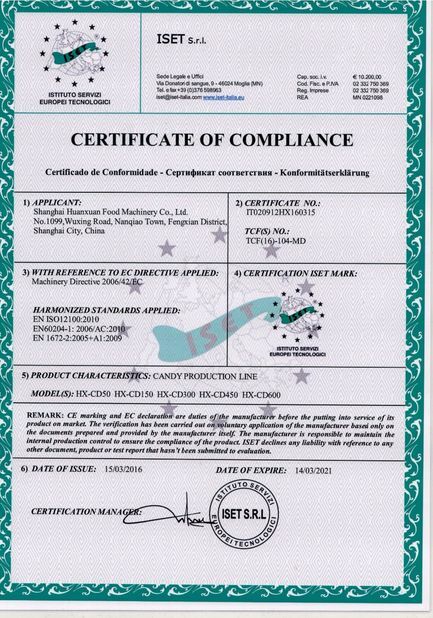 We are a professional manufacturer engaged in the research & development, production, Sale & service of cookies, biscuit, candy, cakes, chocolate and bakery machine etc. We are located in Shanghai with convenient transportation access. Dedicated to strict quality control and thoughtful customer service, our experienced staff members are always available to assist and discuss in your requirements and ensure full customer satisfaction. In recent years, our company has introduced a series of advanced equipment including biscuit ,candy and chocolate machine. 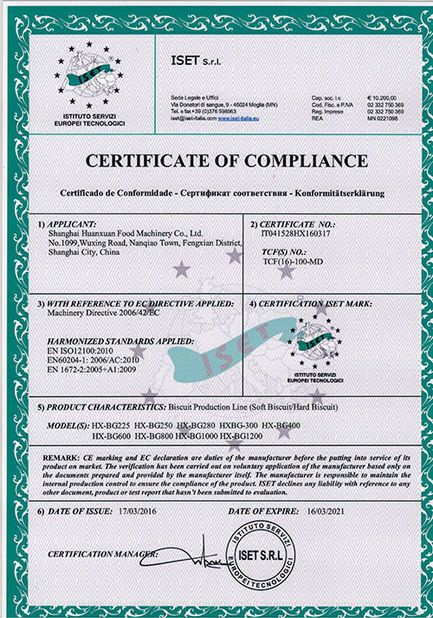 In addition, we have obtained CE,SGS, TUV certificates. It has been a great success in all cities and provinces around China. In addition, we also exported our products to clients worldwide, such as Malaysia, Thailand, Vietnam, India, Russia, America, Australia,Ireland,Middle East, Uzbekistan, Pakistan and Africa etc. OEM and ODM orders are also welcome. Whether selecting a wide range of product from our catalog or seeking specialist assistance for your specific requirement, please do not hesitate to contact our experienced customer service and we will get back to you within 24 hours.